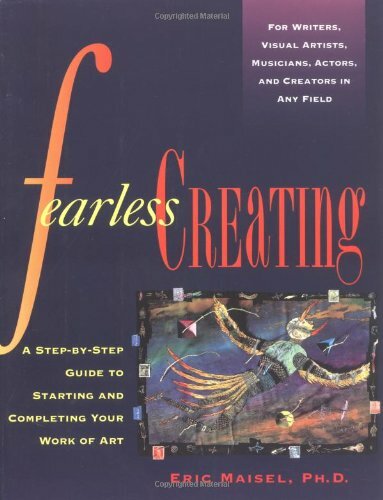 Fearless Creating is a comprehensive guide to being creative. It covers such fundamentals as the relationship between eating and creativity, quietness, and idea driven art work. Nearly every page contains a relevant quote--here included as meditations--by some great artist or thinker such as Mark Twain, Gail Godwin, and Christo. Also included are numerous worksheets and exercises. Besides being a writer himself, Eric Maisel is a therapist with a practice centered around artists, writers and performers and has seen many of the demons that haunt the creative life firsthand. In this inventive workbook, he comes up with many exercises designed to help you blast through your own inertia and fear, to get you back to the typewriter, the easel, or on the stage where you belong.